RETRO POST: Pop Culture PR CEO Goes Full Arctic Circle! Here’s an arctic blast from the past. 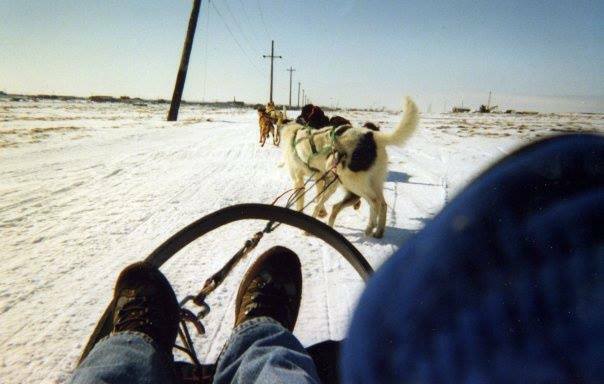 Back in 2006, Darren Shuster, Pop Culture PR’s Founder, stayed with Eskimos in the village of White Mountain, Alaska (“it made Nome look like Anchorage”). PokerShare.com was looking to rename an Alaskan town, Bluff, to one of its own moniker — PokerShare.com, U.S.A.
Darren’s job, upon accepting this mission, was to meet with the elders of the village to have a community discussion. You see, in native Alaska, communities actually meet and discuss money, safety, development, education and other issues. As the locals were very warm and hospitable, our fearless agency leader lost more than $150 in a living room Poker game with his hosts. Upon sunrise, he joined the Dominos Pizza deliveryman on his flight back to Nome.